Will tunnel destroy secrets of Stonehenge? 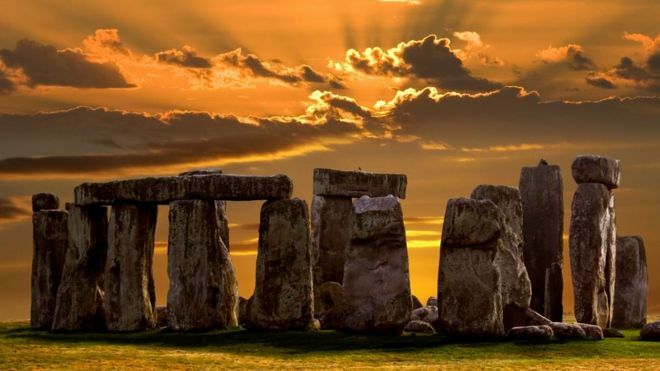 Stonehenge is one of the UK's most popular tourist attractions, drawing 1.5m visitors visitors alone last year. But plans to build a road tunnel nearby to help ease congestion have enraged some archaeologists. Here is the background to the row. Visitors to Stonehenge typically arrive there via the A303, a major link road between London and the South West. However, the single carriageway section of road past the site is a notorious bottleneck, especially in the summer months. New study shows that the genetic makeup of northern Europe traces back to migrations from Siberia that began at least 3,500 years ago and that, as recently as the Iron Age, ancestors of the Saami lived in a larger area of Finland than today. Some of the artefacts discovered during excavations in Lincolnshire. Archaeologists have uncovered lavish burial sites for women in Lincolnshire from the fifth and sixth centuries, which illustrate how women of the time made themselves resplendent. Items recovered from the previously unknown Anglo-Saxon cemetery include jewellery made from amber, silver and glass as well as personal grooming items such as tweezers. Dr Hugh Willmott, senior lecturer in European historical archaeology from Sheffield University and a dig leader, said: “These women wore necklaces made from sometimes hundreds of amber, glass and rock crystal beads, used personal items such as tweezers, carried fabric bags held open by elephant ivory rings, and wore exquisitely decorated brooches to fasten their clothing. Searching through the ancient city of Patara in Turkey's Mediterranean resort city of Antalya, Turkish archeologists uncovered a sword dating back to over a millennium. Lead excavator Professor Havva Iskan Isik of Akdeniz University told Anadolu Agency that they identified a Viking sword from the ninth or 10th century. Isik said they have been carrying out excavation works for 30 years and have discovered important archaeological evidence so far. "Finding a Viking sword in a harbor city in the Mediterranean area is of great importance," she said. 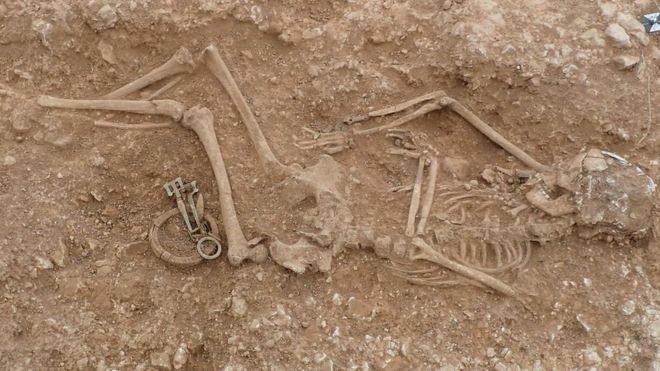 Burials of richly-dressed women interred with their jewellery and personal items have been unearthed at an Anglo-Saxon cemetery. About 20 graves dating to the fifth and sixth centuries, including one containing a woman cradling a baby, were found in the Lincolnshire Wolds. The cemetery was discovered after a metal detectorist uncovered artefacts at the site in Scremby, near Skegness.